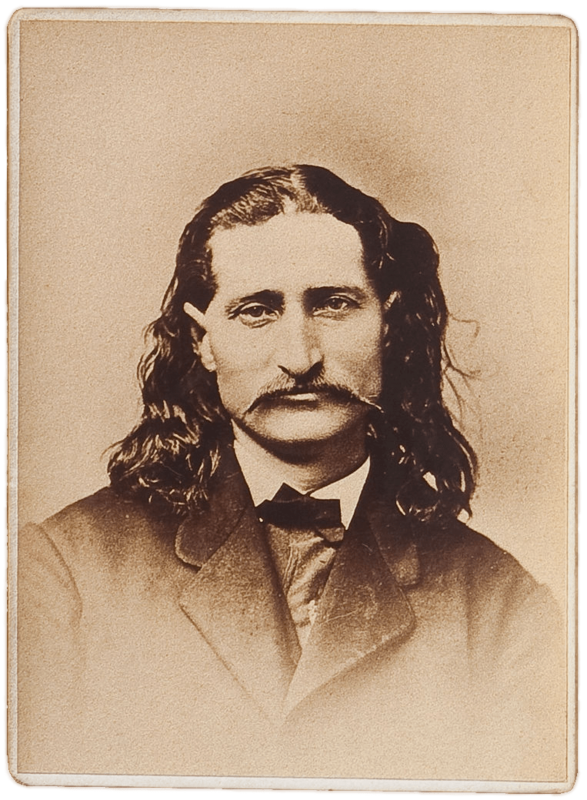 Despite overwhelming evidence of premeditated murder, McCall was found not guilty after telling his judges that Hickok had killed his brother in Kansas. It was suggested to McCall that he might live a lot longer if he left Deadwood immediately, which he did. McCall went to Wyoming, boasting in stage stops and saloons along the way that he killed Wild Bill. Colonel May followed Jack from Deadwood, and reported him to the authorities. A warrant was issued, and McCall was arrested on August 29, and was taken to Yankton, Dakota Territory for trial, and indicted for murder on October 18 by Judge Granville Bennett. McCall tried to turn state’s evidence after he and his cellmate attempted to escape, but were foiled. He alleged that John Varnes, a Deadwood gambler, had paid him to murder Wild Bill. When Varnes could not be found, McCall implicated Tim Brady in the plot. Brady, like Varnes, had disappeared from Deadwood and could not be found. The official trial opened on December 4, 1876. No witnesses were called for the defense, and the verdict came in at 10:15 pm on December 6: “Guilty as charged in the Indictment.” Wild Bill’s brother Lorenzo Butler Hickok was allowed to talk to McCall before returning home to Troy Grove, Illinois. McCall told Lorenzo that he had been bribed to kill Wild Bill, and showed no remorse. Sentencing was held on January 3, 1877. McCall told the judge that he had been drunk at the time of the murder and didn’t remember any of it. He asked for a new trial, and then claimed that his name wasn’t really Jack McCall, that he had changed it when he left home as a boy. Unswayed, the Judge then passed sentence, instructing him that on the first day of March, 1877, he would be hanged by the neck until dead. His defense counsel asked to have the death sentence commuted, but was denied. I saw in the morning papers a piece about the sentence of the murderer of Wild Bill, Jack McCall. There was a young man by the name of John McCall left here about six years ago, who has not been heard from for the last three years. He has a father, mother and three sisters living here in Louisville, who are very uneasy about him since they heard about the murder of Wild Bill. If you can send us any information about him, we would be very thankful to you. This John McCall is about twenty-five years old, has light hair, inclined to curl, and one eye crossed. I cannot say about his height, as he was not grown when he left here. Please write as soon as convenient, as we are anxious to hear from you. McCall was hanged in a public execution at 10:15 am on Thursday, March 1, 1877, in Yankton. He was buried in the southwest corner of the Catholic cemetery there. In 1881, when the cemetery was moved, his body was exhumed. It was discovered that he had been buried with the noose still around his neck. The killing of Wild Bill and the capture of Jack McCall is re-enacted every summer evening on Deadwood’s historic Main Street. Immediately after, the actor playing McCall is tried in a play, “The Trial of Jack McCall.” Hickok’s chair is still displayed at Saloon No. 10, a popular establishment billed as the only museum in the world with a bar. We may never know why Jack McCall murdered James Butler Hickok in cold blood.